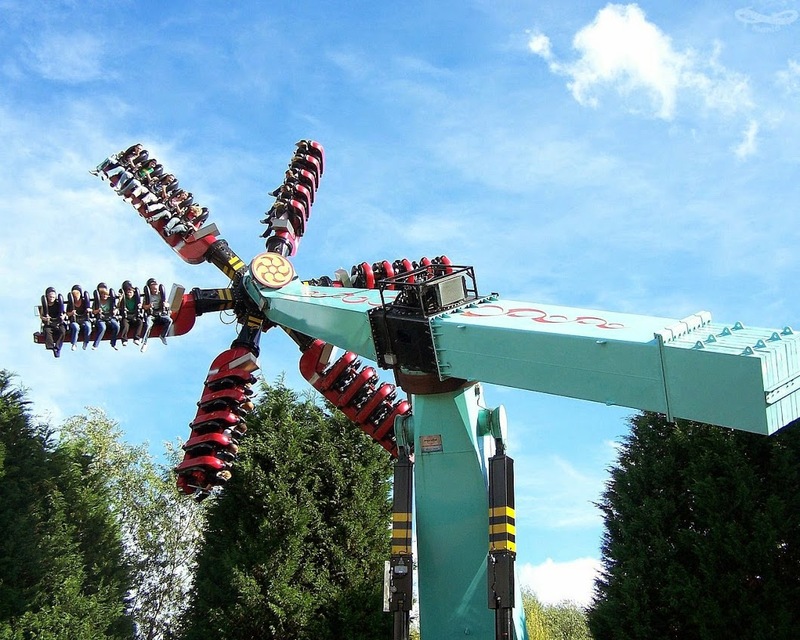 Samurai first operated at Thorpe Park�s sister park, Chessington, but in the 2004 season it was given a make-over in the Lost City colour scheme and moved to Thorpe Park. 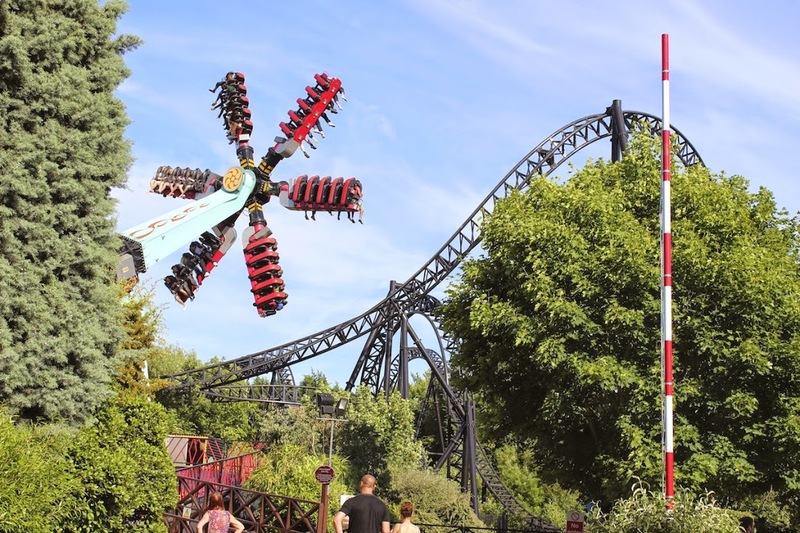 It doesn't operate at quite the same speed as it did at Chessington, but that doesn't stop it from offering a ride that�ll leave you 100% disorientated and questioning which way is up when you�re lowered back onto the platform! With three different axes of rotation, no two rides on the mighty Japanese warrior will ever be the same. Samurai is a fine example of a thoroughly thrilling flat ride that�s rock and roll you up to heights of 60ft! 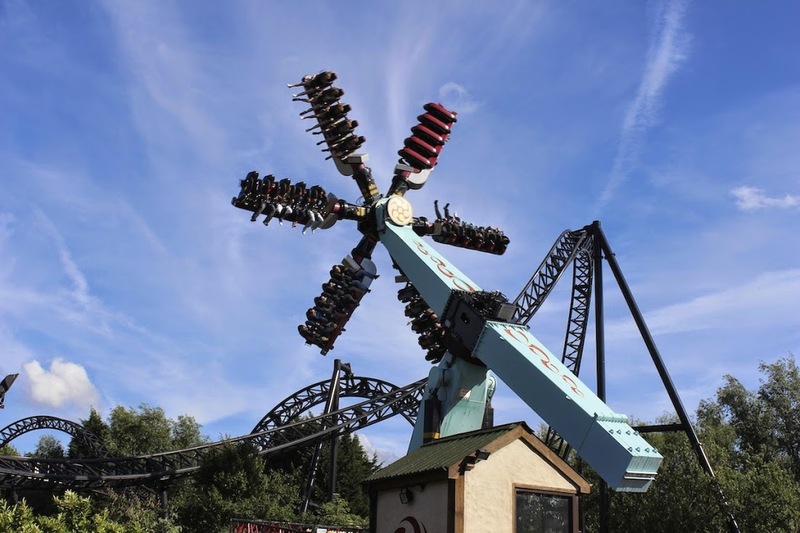 Situated at the very edge of Lost City, and just a stone�s throw distance from Saw � The Ride, Samurai sits waiting to take its 30 challengers into the sky. Once everyone is securely fastened in, the whole ride raises off the platform. It then spins around its central support column, and also on an axis at the end of the rotating gondola. On top of this, the 6 rows of seats flip and spin freely according to the angles they�re at, meaning Samurai offer a truly different ride every time! The ride sometimes has difficulty 'leveling' and getting itself back on the ground to let riders off. If you see it doing this it might be better to come back later as it can lead to long delays. If you are on the ride when it happens it is nothing to worry about and perfectly safe, just sit tight and they'll have you down soon enough. To Ride Samurai you must be at least 1.4m tall. People approaching a chest measurement of 51 inches should use the test seat at the entrance or speak with a rides host.